Following the 1978 World Cup in Argentina, Tottenham Hotspur manager Keith Burkenshaw shocked English football when he signed Ricardo Villa and Osvaldo Ardiles who had played for the victorious host nation. This was in the days when a player from Scotland was considered "foreign", so to bring in two South American's who were recent World Cup winners was quite extraordinary. 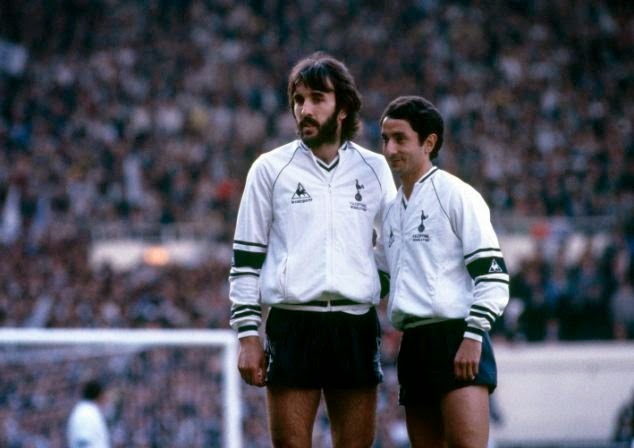 Both Ardiles and Villa initially found the transition difficult, due to the physicality of English football compared what they had been used to back home, but eventually they began to settle. Playing in a side with players Glenn Hoddle and Steve Archibald, the two imports helped form the core of an exciting Spurs side in the late 1970's and 1980's, going some way to proving that overseas players could flourish, given the right circumstances, in England. Although "Ricky" Villa didn't quite reach the legendary status afforded to his compatriot "Ossie" Ardiles at White Hart Lane, he is however fondly remembered for scoring one of the greatest goals in the history of the FA Cup Final. On May 14, 1981 following a 1-1 draw in their first encounter five days earlier, Spurs faced Manchester City in a replay to decide who would claim the venerable old trophy. Ricardo Villa scored the replay's first goal, a straight forward effort considering what was to come, in the 8th minute. The lead was short-lived though as forward Steve McKenzie equalized for City four minutes later. In the 50th minute, City took the lead through a Kevin Reeves penalty, but Spurs drew level at 2-2 in the 70th minute with a goal from Garth Crooks. The stage was then set for Villa in the 76th minute, as he received a pass on the edge of the City box and brilliantly skipped his way through their defense before finishing with aplomb. It was Tottenham's first FA Cup win in fourteen years and went some way to justifying Burkenshaw's gamble on signing the two Argentine stars.